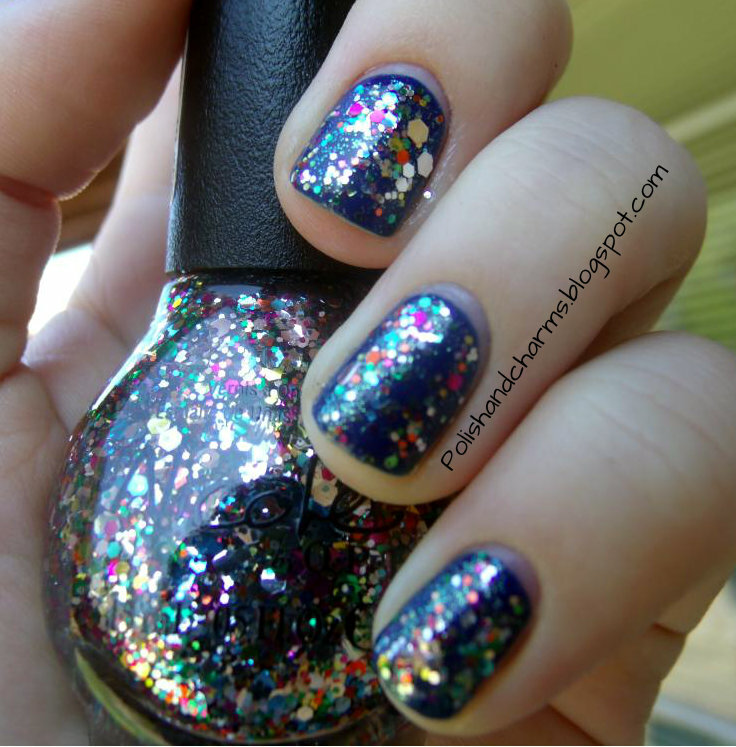 Polish and Charms: Twinsie Tuesday: Glitter Bomb! Hello Hello! It's time for another edition of Twinsie Tuesday! This week's theme is Glitter Bomb!! 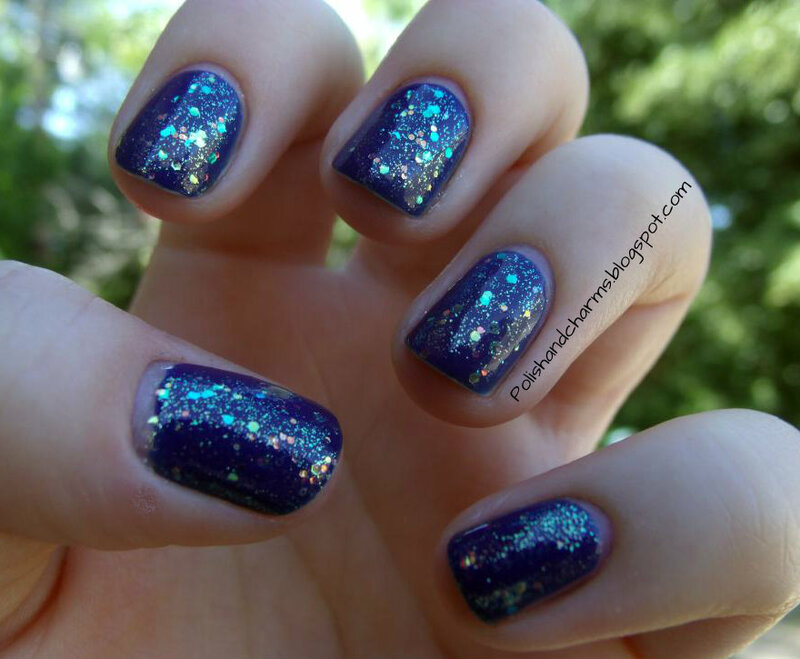 This was a fun one because how can you go wrong with glitter! The base layer is China Glaze Man Hunt. I first added a layer of China Glaze Make a Spectacle. Just gorgeous! This is going to get a post of it's own soon. 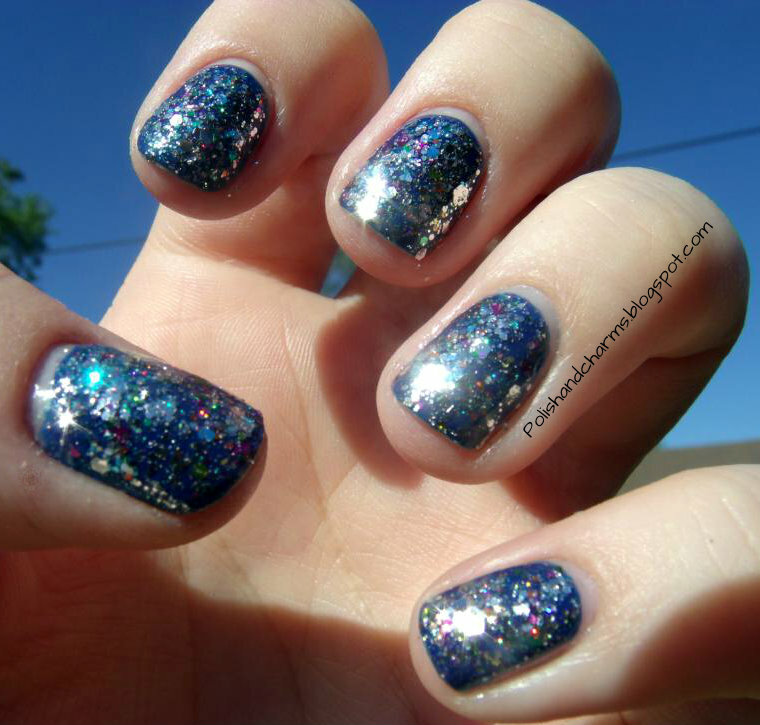 Next up was a layer of NOPI Rainbow in the Sky-lie and last but not least, La Girl Sparkling Diamonds. 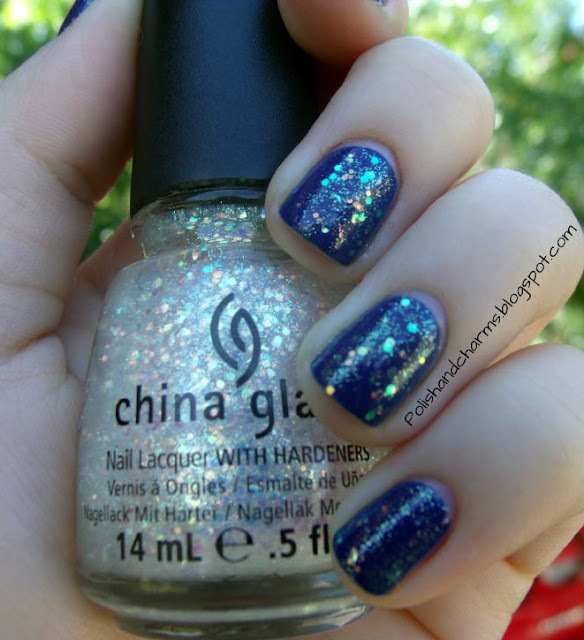 Check out that sparkle!! Enjoy! 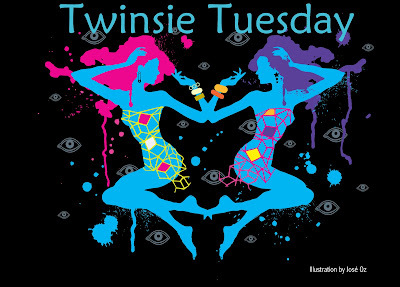 Don't forget to check out the other ladies posts for today's theme! I love it Meredith!! Really pretty! Hee, I just came home with Make a Spectable too, and I can't wait to use it! Wow, now THAT is some bling!!! Man Hunt is the perfect underwear for this! This is stunning! 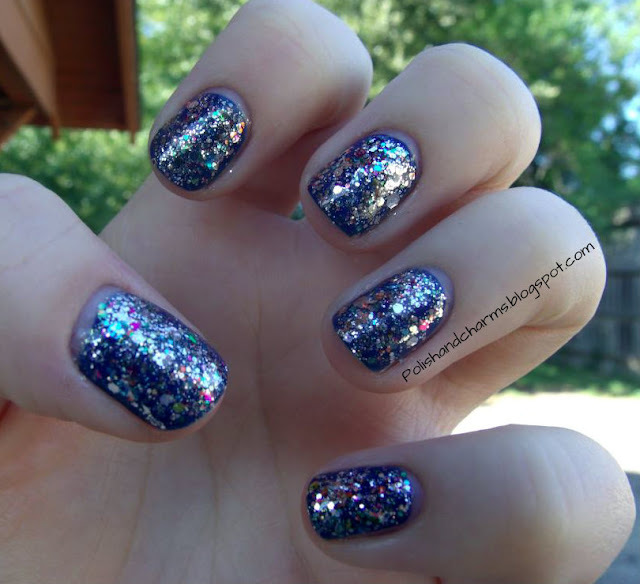 I wish I could work glitter like this! Very pretty! I love this combo on you! Ooh it looks beautiful in the sunlight! Thanks Anna! I am sure you can, I just threw these on! Yes you do, it is awesome! I can't wait to see what you do with it! Me too! It's so pretty! Gorgeous! I LOVE Make a Spectacle!! WOW!! Glitter bomb for sure!